Who is entitled to an eye exam from OHIP? 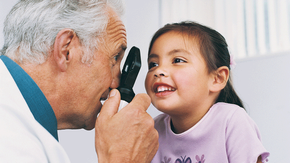 Children are covered once a year for a full eye exam, until the age of 19. Seniors 65 and older are covered once a year for a full eye exam. FYI - Others who do not fall in these categories will pay up front. Call the office for the fee structure.